Well as the saying goes, “better late than never”. I did make some kind of effort to capture the solar eclipse a few weeks ago. There was a lot of hype about this eclipse here in the US particularly because it presented an opportunity to many across the country to witness a full solar eclipse. I wasn’t however as motivated or hyped-up as some. I just didn’t think it was worth the hassle this time around considering my work schedule and the travel to an obscure location and deal with the gridlock and traffic jam. This especially considering that there are anywhere from 2 to 5 solar eclipses around the world each year. I simply do not think it is as rare (or special) an occasion as it is made out to be. I would sooner chase the eclipse at a destination that offers interesting and exciting possibilities for photography. Nonetheless, I did at least take out my gear for the occasion. 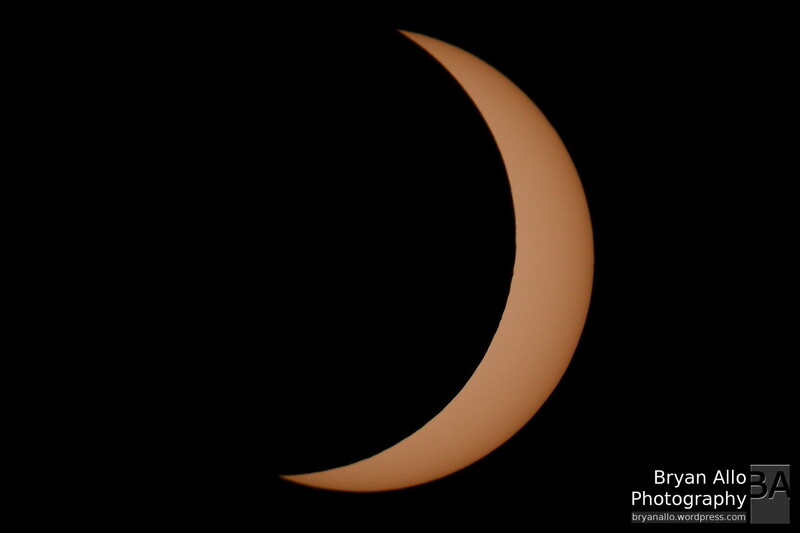 The view from Sacramento was of a partial eclipse as we were not in the line of the full shadow. I used my Canon 7D Mark II and Canon EF 300mm f/2.8L IS II super telephoto lens. 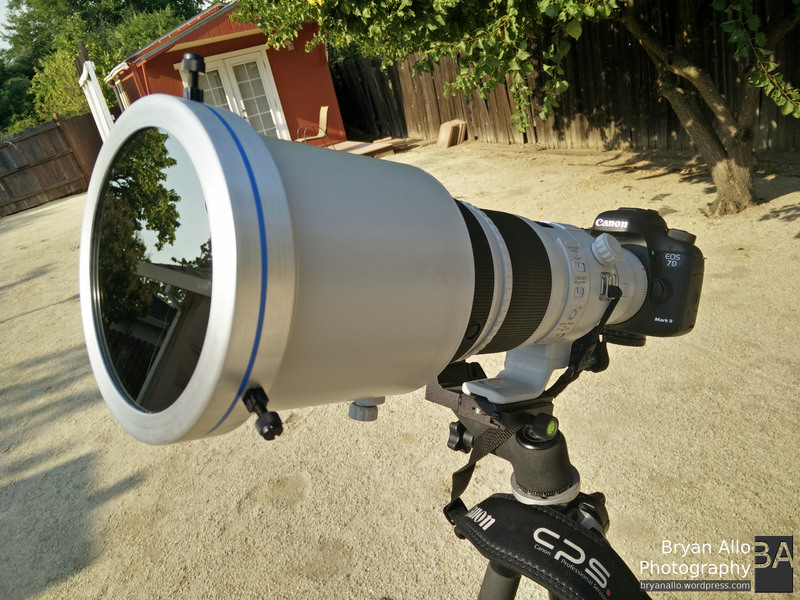 I also used the EF 2X Extender III, albeit begrudgingly. I say this because it softens an otherwise perfect lens but I had no choice given that for solar observation you really need 600mm at a bare minimum. 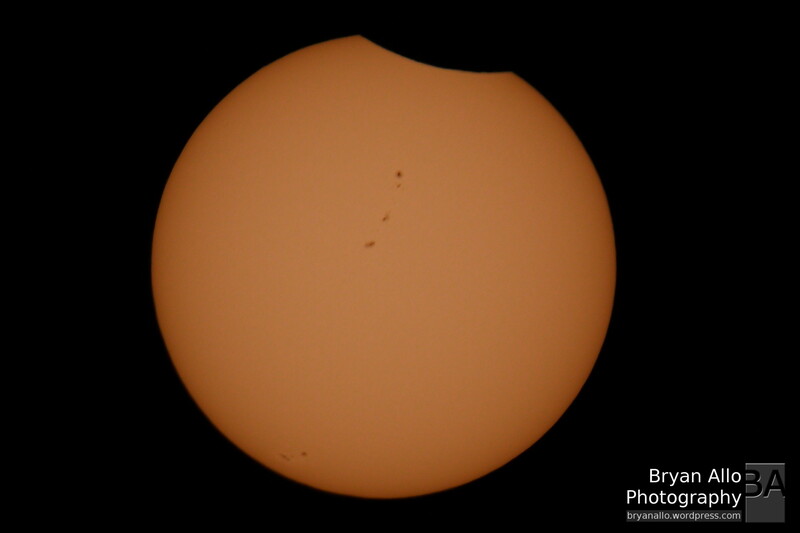 Of course I did not forget to use a solar filter. Originally designed for my telescope, it fits perfectly on my canon lens. I would have liked to setup my Computerized German Equatorial Mount for tracking, time lapse and also use my 1000mm telescope. However I really had more pressing things to get to that morning. So I threw my kit in the truck and headed into my morning commute. I managed to step out of my office a couple times throughout the eclipse to capture a few key shots. Here they are. Did you capture the eclipse? Did you view it? I just got this email from a reader asking for some thoughts on camera gear and her kit in general so i thought I’d share my thoughts with other readers. use with the lenses I have and save up for a nice wide angle for it. Decisions, decisions! I’ve had a 400 before, I’ve had the 70-200, I’ve had the Sigma 150-600mm, all were just too heavy and not convenient. I’ve had two 6D’s at one time and that was nice to shoot with a zoom on one and wide angle or macro on the other. I just got to the point where I felt I needed more. Maybe the ideal set up for a poor gal is to have the 7D Mark II with a 6D but with that, I do not have the proper lens for action for the 7D. I guess what I’m hoping you can confirm is that the 7D Mark II can do it all….? Thanks for taking the time to write. First off I have to preface everything by saying the best camera is the one you already have. However with that said, it sounds to me like you are running up against the many shortcomings and compromises of the Canon 6D camera system. The short version of this post is I would never consider owning a 6D body. I would pick the 7D Mark II over the 6D any day. The 6D is such a crippled and compromised camera system, it doesn’t make much sense to me except in very limited and specific scenarios such as landscape and still life. Of course if all I had was a 6D, I’m sure I would eventually get my shot no doubt, but it would probably be a frustrating experience. The 6D sprung from a perceived need for a “cheap and watered-down” full frame alternative to the 5D Mark III. This premise was already a red flag in my opinion. The 5D Mark III already made some compromises from the flagship 1Dx. I have found myself in situations before where I just dropped the 5D Mark III and picked up the 7D Mark II. I think to better understand what choice is right for you, it is important to understand the Canon pro lineup. There are two flagship camera systems. One full frame and one APS-C crop sensor flagship body. These are the 1Dx Mark II and the 7D Mark II respectively. Both cameras make zero compromises. Everything else is a compromise. Both of these bodies, pack an abundance of speed, processing power, capacity and all the latest features available. For this reason, I will always pick the 7D Mark II since I don’t have the 1Dx Mark II. I have used the 6D and it was definitely out of place in the Canon pro lineup. I found it very limiting. The 7D has the fastest most effective Auto Focus of the canon lineup. It is on par with the 1Dx Mark II. The 7D Mark II is blazing fast, has a brutally accurate and intelligent AF system, precise metering, and powerful dual DIGIC6 processor pixel pump. There is nothing you cannot shoot with the 7D Mark II. Nothing. This is not the case with any of the other full frame bodies (except for the 1D series). There is far more to an effective camera system than a the sensor size and low light capability. Current APS-C sensor technology has caught up with and surpassed all professional requirements. When it comes to low light capabilities, the 7D Mark II puts out a respectable performance with usable shots as high as ISO-1600. Yes maybe the 6D puts out usable shots at ISO-3200 but here’s my problem both are too noisy for me anyway. So we are talking about ISO performance advantage where it really does not matter. The high ISO argument is really a moot point these days. I rarely shoot my 5D Mark III above ISO-1600, because I just can’t stand the noise however low it may be. Also more important than low light capability is the fact that at higher the ISO, dynamic range is decreased dramatically, regardless of whether it is a full frame or crop sensor. As for low light performance, the 7D Mark II packs an unexpected capability. 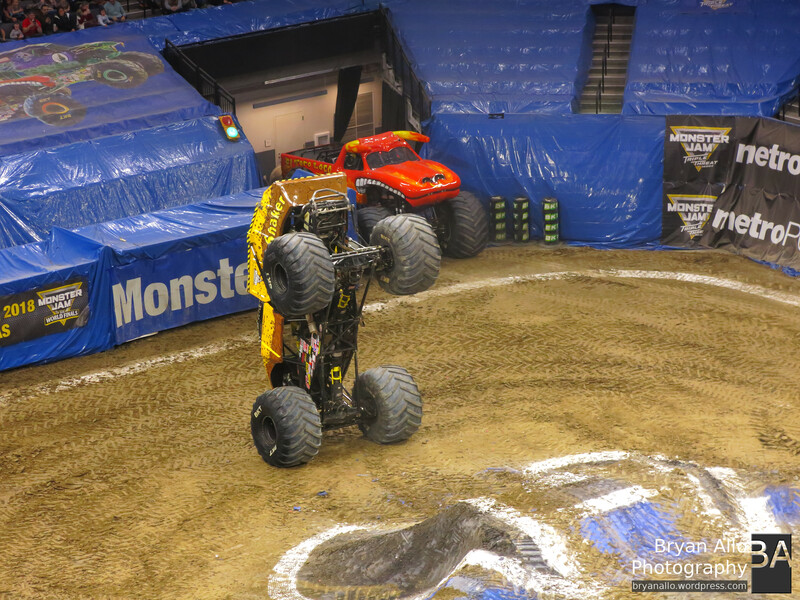 If you just crank up your ISO to 6400 or as high as you need to achieve a shutter speed 1/10th of a second or faster, then use in-camera HDR bracketing at full burst mode of 10 frames per second, the resulting HDR composition cancels out a lot of the noise. I ran into this while shooting an extremely low light wedding reception in which my 5D Mark III just could not acquire focus or keep a fast enough shutter. The 7D Mark II saved the day. It seems counter intuitive, but it does in fact work in real world practice. Did someone say you can’t do landscape photography with a 7D Mark II?? They are just lazy. Have them call me. I could go on-and-on. As for shooting action shots, I haven’t yet posted about that but if you take a look at my Instagram [@bryanallo] you will find numerous examples of what the 7D Mark II is capable of. I hope this helps. Keep me posted on your photography journey. Thanks Kim and all the best. I must admit I have been asleep the last few days. I almost missed Canon’s announcement a few days ago. 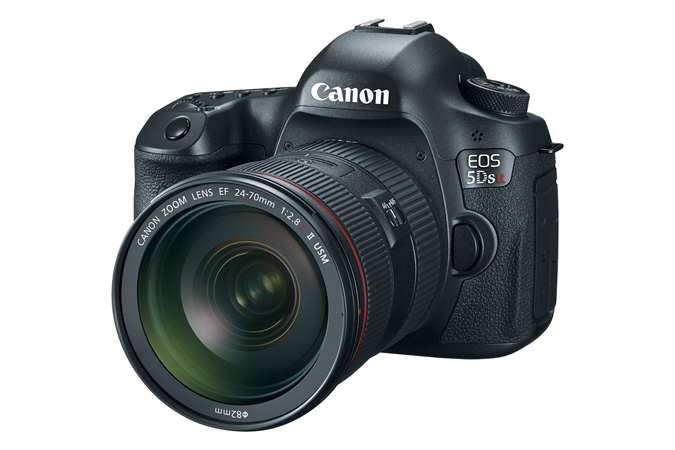 The announcement is for two high resolution variants of the 5D series DSLR cameras. Both the 5DS and 5DS R will have a resolution of 50.6 megapixels. Also most notable for me is the much needed dual DIGIC6 processors. 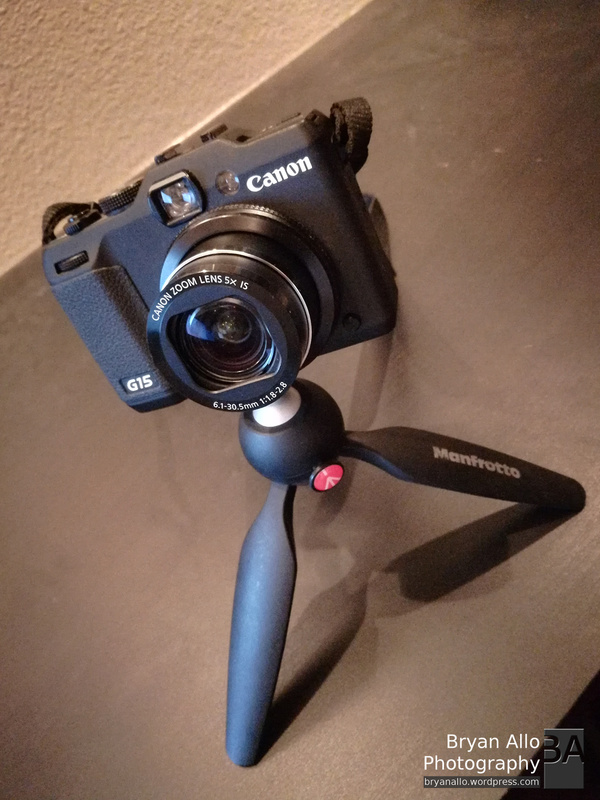 Before shooting my 5D Mark III, I shot my 7D and a few months ago I added the 7D Mark II to my kit. The 7D series makes it painfully obvious the 5D Mark III is underpowered with it’s single DIGIC5 processor. In my opinion all pro bodies should be equipped with at least two processors. Once I started using the 7D Mark II, it quickly became my main go-to camera. I started considering selling my 5D Mark III and just trading up to a medium format. I figured if my 5D Mark III was mostly good for still life and studio work and was beat out by the 7D Mark II in almost every other scenario then I might as well get a proper studio system. Up until now, I have been taking a long hard look at the 50 megapixel Pentax 645Z. The only reason I haven’t bought one yet is the idea of committing to and maintaining yet another lens system. However while I have my doubts about cramming that many pixels into the full frame sensor, if the image comparisons between the 645z and the 5DS/5DSR turn out close, I will most likely replace my 5D Mark III with a 5DSR. It also remains to be seen if there is Canon glass sharp enough to take full advantage of the sensor. With that said this resolution is really not groundbreaking. If you look at the approximate numbers for pixel densities below, you will see that these are essentially a 19 megapixel APS-C sensor scaled up to full frame dimensions. So I expect image quality on par with the 7D Mark II – which is perfectly fine with me. Noise wise, I’m not really going to bother getting into it because I have never needed my 5D Mark III or 7D Mark II to shoot above ISO-6400, and for any professional assignments and print work I never shoot above ISO-1600 period. So “high ISO capability” is a marketing gimmick I simply do not care about. This is an interesting development. Canon is clearly intent on keeping some folks from jumping over to ever more affordable medium format alternatives and perhaps also eroding the medium format market share. 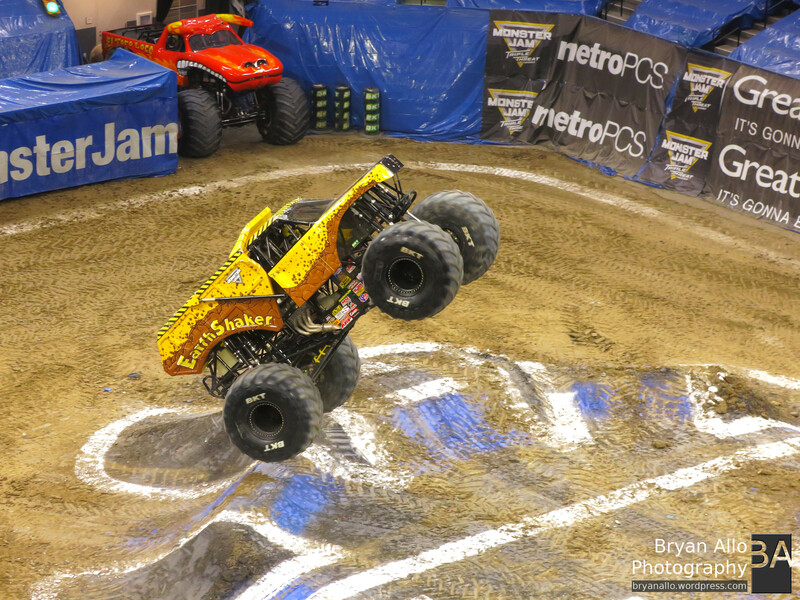 For a more in detailed insight into both camera systems please visit Bryan Carnathan’s review. 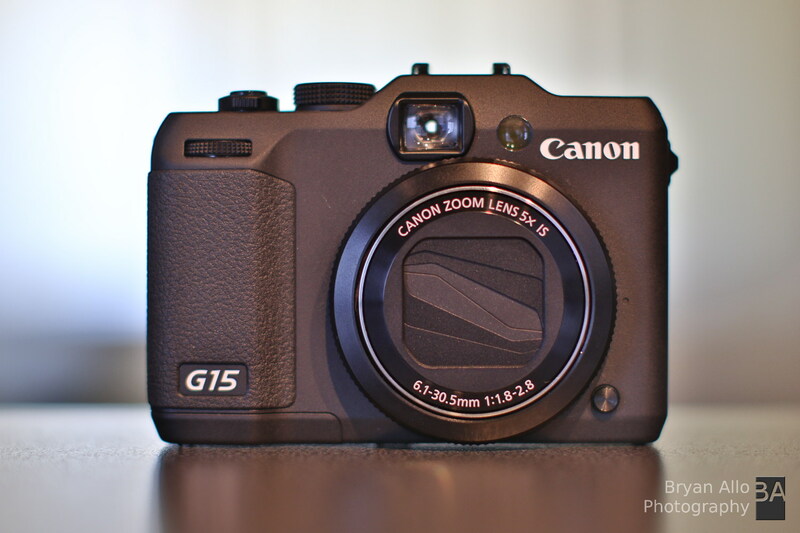 Canon G15 – Get it! I stumbled upon this deal while browsing Canon’s online store. I try to check their refurbished listings for unique opportunities to acquire some of the pricier lenses at attractive discounts. This time I noticed they listed a refurbished Powershot G15 for just over $200. Considering I don’t have a point and shoot camera to conveniently lug around It was too tempting to resist. I have been considering one of the G-series PowerShot cameras for a while now but they do command a premium and rightfully so. From a photography perspective they make the fewest compromises of any point and shoot camera out there and offer superb build quality. They are really designed for the enthusiast or pro who is accustomed to a certain level of performance and build quality. Up until now I just haul my 7D, 7D Mark II or even the 5D Mark III because I just cannot stomach the typical mainstream point and shoot camera offering. I regularly get asked to make recommendations and find myself short of suggestions for this reason. What attracted me the most to the G15 is the lens it comes with – an impressive wide aperture f/1.8 to f/2.8 zoom that is sure to never leave you wanting while running about. That itself is almost reason enough to get this camera. A small lens aperture is the root of most compact camera frustrations. It is almost identical to the current G16 in all the areas that matter. Wifi and 1080/60fps are specs for gear heads and have little practical use in everyday life, besides I have my DSLRs to do all that jazz. Everyone I’ve mentioned this deal to has bought one within minutes and is thrilled so far. Canon has since dropped the price below $200. Just so you know I am in no way affiliated with Canon. I just thought it was a cool enough deal to share with fellow photo geeks. Check it out. I recently got a comment on my post Reader Comments – Canon 5D Mark III vs 7D from a while back. This is no doubt something that has been on my mind for a while. Hope you are well brother!…. Following on from my comment above and our brief yet insightful discussion on the merits of making the step up to the 5D3…I was hoping to pick your brains again if I may? 1) Have you managed to use one as yet? 2) What are your thoughts? 3) Is it a significant step up from the 7D? 4) is it worth the upgrade? Thanks for stopping by and writing Hari. I hope you are doing well buddy. It’s good to hear from you. The truth is you’ve sort of prompted me to jump the gun here as you will see from my answers to your questions. Indeed when I wrote that post over a year ago the 7D Mark II was nowhere close to being a reality, however Canon has finally relented and released the ridiculously anticipated 7D Mark II. Before I get carried away, let me try to answer your questions. Have you managed to use one as yet? Not yet. I should be getting mine this weekend and plan on doing a quick post about my thoughts. Well obviously I liked the specs enough to go ahead and pre-order one. 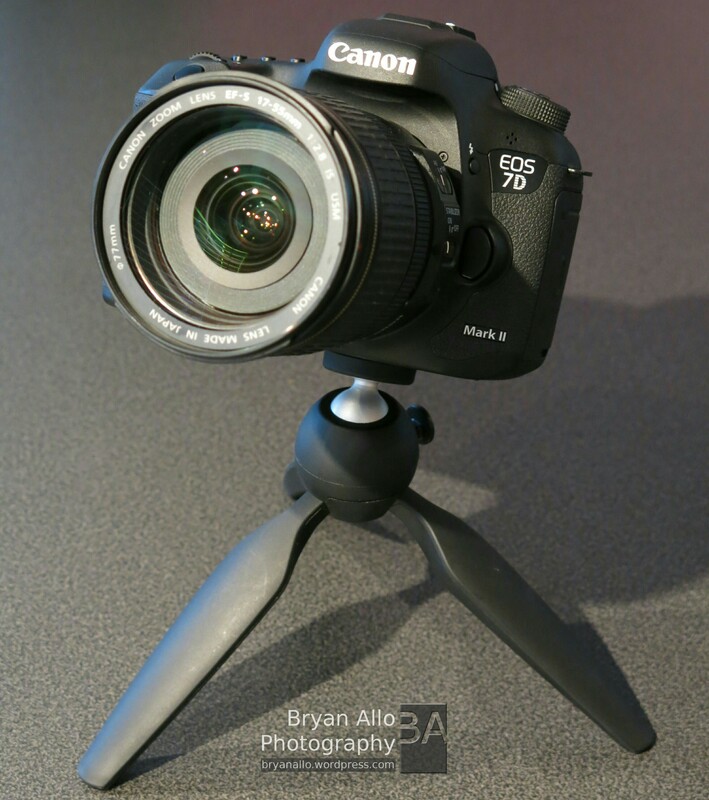 It looks like a solid update from Canon that makes the 7D series even more of the photographer’s camera. I am satisfied with how well equipped it is even though I did not get everything I wished for. See my post Canon 7D Mark II – 10 features I would like to see. Is it a significant step up from the 7D? Yes. I think it is. Especially in the areas that matter most to active photographers. Gear heads, spec sheet nuts and armchair photographers will not get their high megapixel fix. It all depends on how much you are going to get out of it. A lot of 7D owners never realized it’s full potential. If you have the money to spend then yes. If you don’t already own top notch lenses like the EF-S 17-55mm f/2.8 IS USM and the EF 70-200mm f/2.8L II IS USM then I would definitely urge you to get those first. Those would arguably go a very long way to upgrade your 7D than spending on a brand new 7D Mark II body. Definitely don’t bother with the kit lens. It is just not worth it in my opinion. Canon should really consider shipping the 7D Mark II with the 17-55mm f/2.8L or the 16-35mm f/4L and charge extra. A cheap consumer grade EF-S lens is a terrible compromise for a camera like the 7D. I recently got a question from a reader regarding my post titled Canon 5D Mark III vs 7D. Rather than let these conversations get buried in the comments section I will do my best to reply as a new post. That post has been the subject of much debate, many questions and discussions. However I would like to keep this post focused on this question I received, because I think it is representative of the question on a lot of people’s minds when they approach the subject with me. Hi Bryan, great post. I own a 5D2 and have been using that for my wedding and portraiture but was considering getting the 7d or the 5d3 for action work. I have to admit I was biased towards the 5D3 based on everything I read so I rented the 7D to try it myself with a 200mm 2.8 prime and it was terribly sharp and accurate with the football game I shot. I do prefer the shallower and slightly more pleasing depth of field I get from full frame cameras though. Im wondering what your feelings are on the Nikon D800 and the D600 and their 36 and 24 megapixel offerings as well as the crop factor that those cameras offer in DX mode. I am a Canon shooter but have considered purchasing a Nikon D800 for those features. Thanks Zamani [and all who’ve asked similar questions]. So the D800 sensor has a pixel density somewhere between the 5D3 and the 7D. The D600 has a pixel density almost identical to the 5D3. I would expect the D600 will yield an image with quality more comparable to the 5D3 and the D800 will yield slightly better than that from a 7D assuming they all used the same optics. However I have always said, in practice the sensor almost doesn’t matter anymore these days because the technology is just that good regardless of the manufacturer. The D800 will suffer a bit from some of the challenges 7D owners faced when it was released – the higher pixel densities will easily reveal more of the optical flaws in every lens from chromatic aberration to distortion to focus inconsistencies. I recall a lot of 7D owners complaining about having to adjust their focus when in fact this probably had to do with the flaws in the optics of their lenses. If you are planning on acquiring a camera system like the D800 or 7D, then I suggest you plan on acquiring the best possible lenses that money can buy – Canon L Mark-II revision lenses or the Nikon equivalents if you go with a D800. The 5D3 or D600 will be more forgiving and yield crisp images with less than premium lenses. Now I must say I have never used the D800 and perhaps I should get one and try it out. However the only reason I would not go for a camera system like the D800 has to do not with image quality or whatever else the pixel-peepers whine about. It has to do with other features I actually consider more important to everyday shooting. The Nikon interface has always seemed too cumbersome compared to Canon’s 1-click layout. 4fps is just not good enough. It seems Nikon made this compromise in exchange for higher megapixels. 4fps is digital rebel speed which while good enough for most is painfully slow for anyone half serious about photography. Unless your D800 is pretty much only for shooting landscapes and other stills, this will be a big issue over time. I can barely tolerate the 6fps of my 5D3, but then again I may have been spoiled by the 7D. I’m sure the D800 is a great camera no doubt. The fact is few need 36MP images and when I need 36MP or more, I simply pan my scene and extract more specific detail and clarity than can be achieved in one shot. I do this all the time with my 5D3 and 7D. I really don’t think there is a burning need for high MP bodies as much as the need for sharper higher resolution optics. The D800 might be a more economical proposition for someone trying to break into the Medium Format (Hasselblad) commercial domain, but not much importance in the traditional SLR domain. The D800 feels like the DSLR that wanted to be a Hasselblad and in so doing, forgot how to be a DSLR. I like that Canon consistently takes notice of these important details. They revised their top lens optics soon after the 7D hit the market as well as dramatically improved the usability and features in their cameras. Each new Canon body I’ve bought has made my life as photographer much easier and much more successful to that end. There are many reasons the 5D3 still gets top ratings and it’s has little to do with Megapixels. So I get it. Canon is the 800 pound gorilla and Nikon felt they need to set themselves apart with the D800 but I feel in doing so they missed some very important details that matter to those who actually use these pro cameras as tools and not trophies. I just don’t think it was a good gamble. The biggest reason I chose to invest in Canon is for the L-lenses. I buy one, it’s built to serve me the rest of my life. I’ll probably own 10-20 bodies over that period so I don’t base my choices on what bodies are currently on the market.